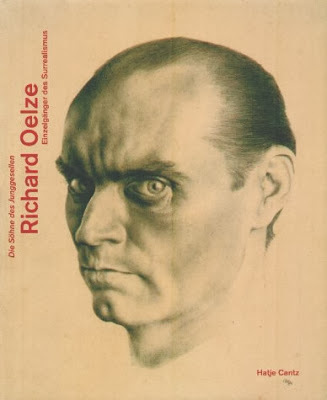 Richard Oelze was born on June 29, 1900 in Magdeburg. He first trained as a lithographer but after World War I attended Kunstgewerbeschule in Magdeburg, where he devoted himself to studying drawing. In 1921 he enrolled at the Bauhaus of Weimar and took courses with Paul Klee and Johannes Itten. He moved to Dresden in 1926, quickly becoming part of the local art scene and meeting Will Grohmann, who was to influence his work considerably. In Dresden Oelze took courses at the Academy, where he studied the work of Otto Dix, and worked as an assistant at the Art School, which had been founded in Berlin in 1926 by Itten. 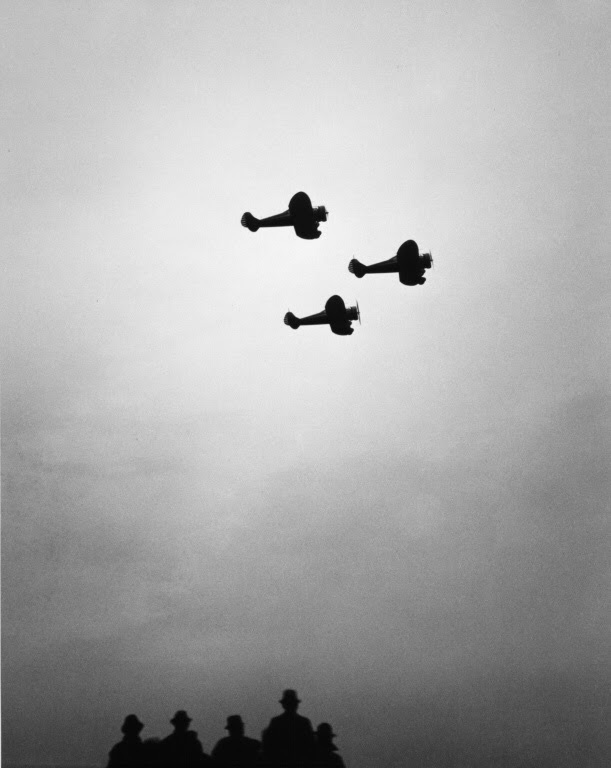 During that time he met Hans Richter, with whom he collaborated on photography projects and film productions, and then studied at the Bauhaus of Dessau for a few months. 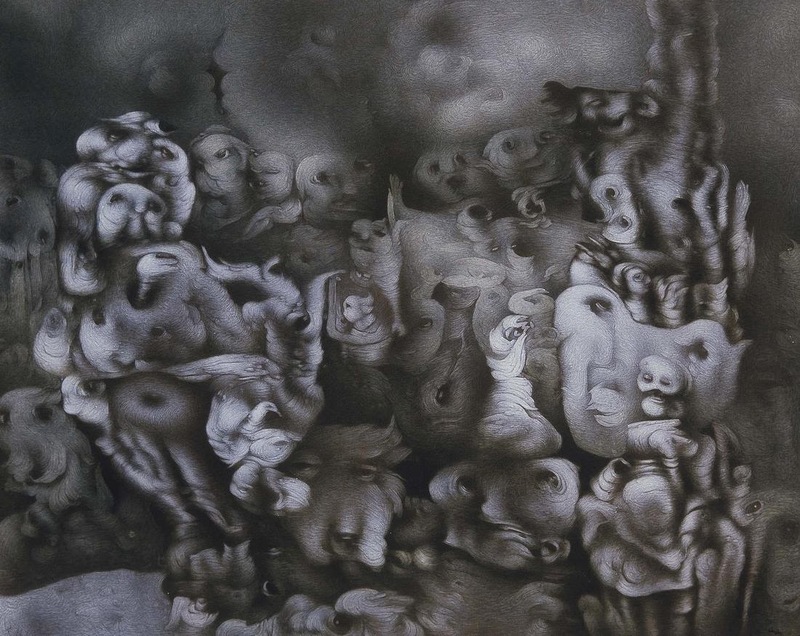 After moving to Ascone, Switzerland, in 1929, Oelze encountered Surrealism for the first time and moved back to Germany the following year. In 1933 he decided to go to Paris, where he met and associated with Max Ernst, Tristan Tzara, André Breton, and Salvador Dalí. Despite never officially subscribing to the movement, he participated in some of the most important Surrealist exhibitions of the day, such as the International Surrealist Exhibition and Fantastic Art, Dada, Surrealism, organized in 1936 by the New Burlington Galleries in London and The Museum of Modern Art in New York. 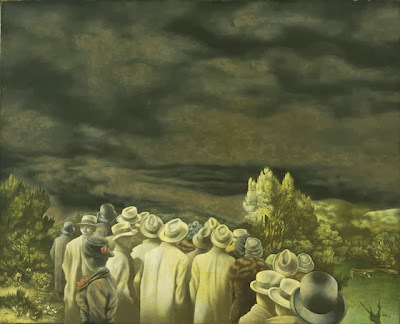 In 1935 Oelze painted "The Expectation" which was to become his most famous painting, a gloomy icon of things to come. It is one of my favourite paintings of the 1930s and I like to see it together with John Gutmann's 1934 photography "Omen" (John Gutmann fled Germany in 1933). In 1936 Oelze returned to Ascone and in 1939 moved to Worpswede. During World War II he served in the German Army and was taken prisoner. At the end of the war he was freed and resumed painting in a surealistic, dreamlike style. He had solo exhibitions at the Moderne Galerie of Cologne in 1950 and the Graphische Kabinett of Bremen in 1952, and in 1959 he took part in the Documenta, Kassel. 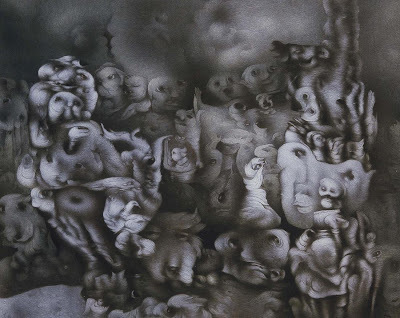 In 1962 Oelze moved to Posteholz, where he continued his artistic activity away from the public eye. During the 1960s and 1970s he had many exhibitions, including one major retrospective at the Kestner-Gesellschaft of Hannover in 1964. In 1965 he was nominated a member of the Art Academy of Berlin and died in Posteholz on March 27, 1980. Posted by Kraftgenie at 12:59 p.m.